Absolutely one of the BEST views in Stonebridge. 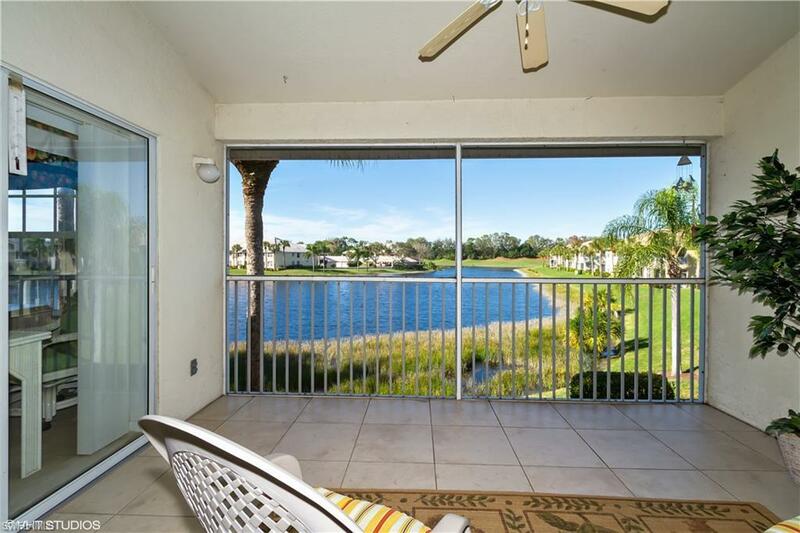 Breathtaking Long Lake & Golf Course views from this 2nd floor 2 BR 2 Bath Heatherwood condo. High volume ceilings in the Great room, light colors & Immaculate white tile floors & light carpet in Great room & Bedrooms. All new Stainless appliances in the kitchen with white counters & cupboards. Darling private Guest Bedroom with walk-in closet and attached Full Bath. Master features beautiful lake view, dual walk-in closets, attached bath with dual sinks and shower. 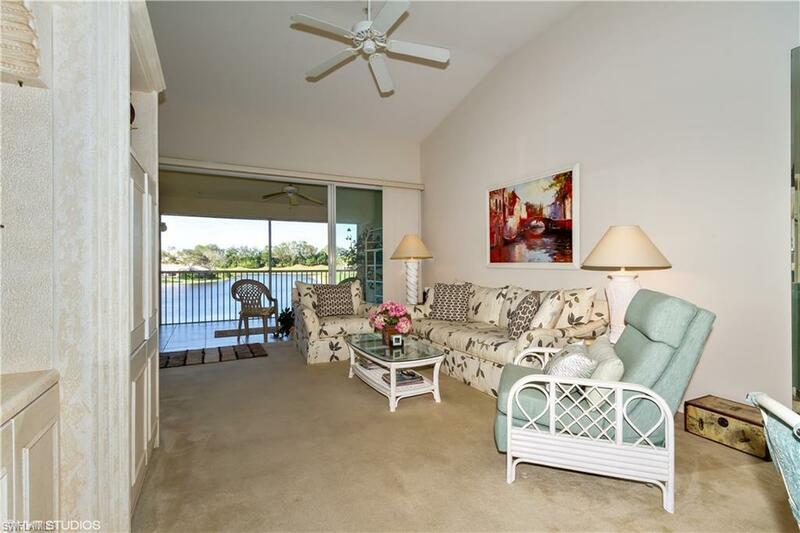 Large Screened Lanai overlooks the lake & the Golf Course beyond.A/C and Water Heater only 5 years old . This condo is very nicely furnished and offered Turnkey. 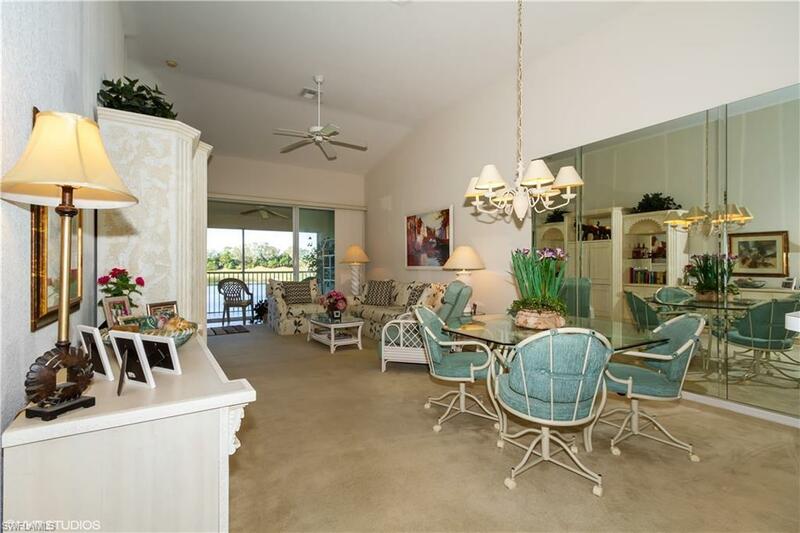 Located within an easy walk to the Tennis courts, Fitness Center and all Club activities. Stonebridge is an amenity rich Gated Bundled Golf Country Club Community, where Every Owner is a Member of the Club! 18 challenging holes of Golf, 5 Har-tru lit tennis courts, attended "State of the Art" Fitness center, Pool & Spa and both Fine & Casual Dining offered at the beautifully enlarged & updated clubhouse. 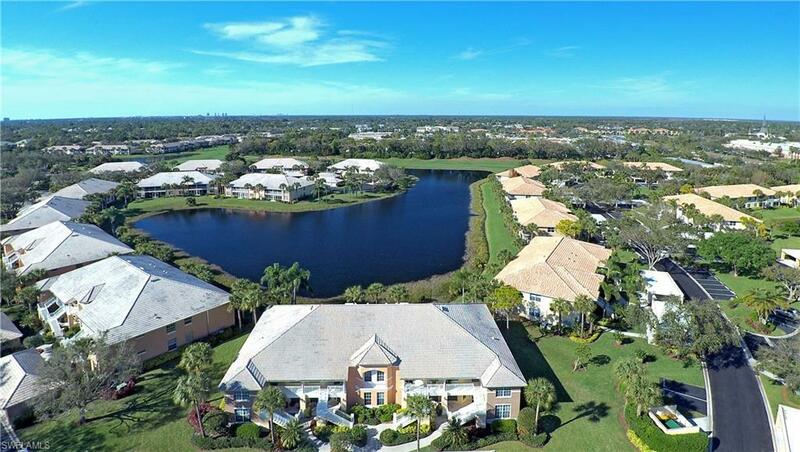 Fantastic North Naples location less than 3 miles to the beautiful beaches & only 25 minutes to the airport!